Plan a rockin’ New Year’s Eve party with these great New Year’s games! With everything from free printable trivia games to New Year’s Eve charades, there’s something for every type of person and every type of party! What started with 20 awesome New Year’s games has quickly turned into a collection of the best New Year’s Eve party games ever! Can you all believe that the year is already almost over? I’m still blown away that it’s December, let alone the end of December and time for a big New Year’s Eve party! I love New Year’s Eve and hosting New Year’s Eve parties! 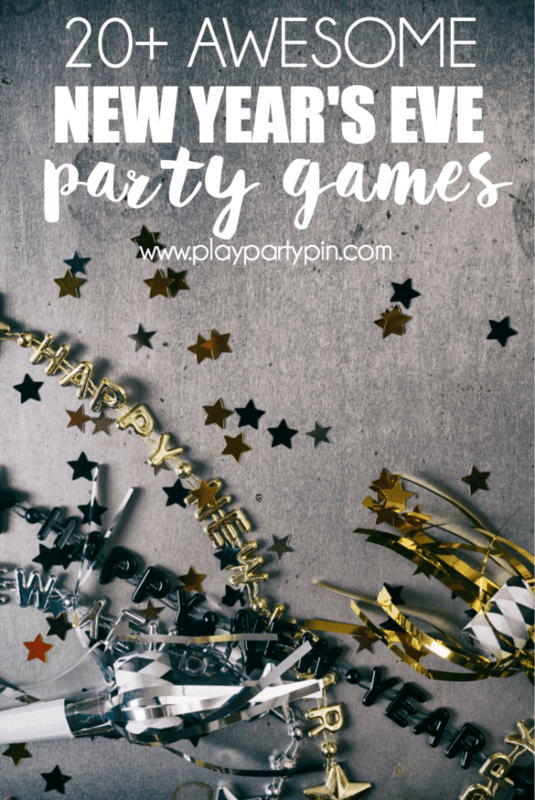 New Year’s Eve isn’t the same without some fun party games, and I’ve gathered the best New Year’s Eve games all in one place for you right here! 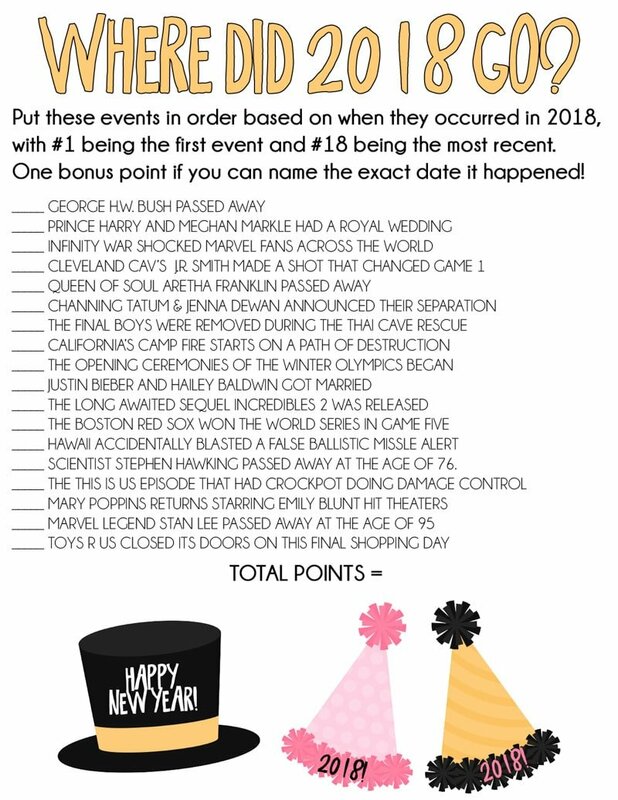 Everything from free printable New Year’s Eve games like New Year’s Eve blank spaces to a collection of active minute to win it games! Like all of the rest of my parties, I love playing games at New Year’s Eve parties and this year is no different! We are going to be playing a handful of games on this list with our in-laws and hopefully you can find a few games on the list as well! These are the games you want if your guests aren’t so into games. Download, print, and pass out with a pen and you’re done. Oh and maybe pick up an Amazon gift card or two for the winners! These games include everything from kid-friendly games to ones that are a bit trickier like these New Year’s Eve trivia games. Try to put events from the year in order in this Where Did the Year Go game from Play Party Plan. Try to match quotes and songs from the year to each other in this pop culture matching game from Play Party Plan. Can you remember what happened this year? Put your knowledge to the test in this 2018 trivia game from Play Party Plan. These are the opposite of the printables above. 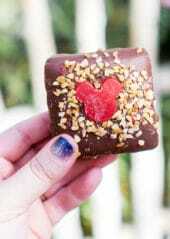 These are for the more daring, more adventurous, and more active guests. Pop some balloons, toss some confetti, and get your exercise in before January 1st! My family absolutely loves games like these, and they’re perfect for kids or groups that like to have fun! These games are designed specifically for larger groups. You can play any of the games above with groups as well but they could be smaller groups or individuals as well. These ones really don’t work unless you have more than one person playing. Name that Tune is still one of my all-time favorites, and I try to convince my dad to play it every time we’re together. Although Sporcle from the list above is quickly becoming another family favorite! Last but not least, here are some things for the kids. These might work best for a noon year’s eve or to do a little earlier in the night before the kids are passed out on the floor. One of our favorite things to do is make these countdown buckets with a different game or activity in each and play with the kids. It’s a great way to keep the kids going all night long (if that’s what you want!). Don’t forget to pin these New Year’s Eve games for later! Thanks for these ideas. We especially (Ok, maybe just me) love trivia games so I can’t wait for these! Hi! Just wondering if you will be posting 2016 trivia games?? We love to do your games for the new year and the trivia ones are our favorite!! You can find the trivia games here –> http://www.playpartyplan.com/2016-new-years-eve-games/. 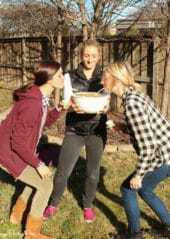 Where are the answers to the 2018 printable new year’s party games? I printed 14 pages and none contain the answers. The games are AWESOME!! 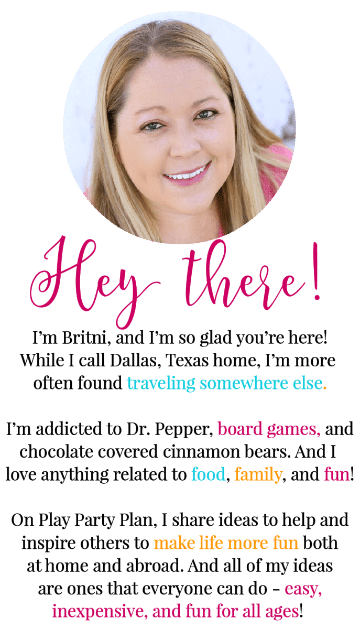 This website has been such a blessing for my family and I!! My family LOVED the Christmas family feud and it was a great way to bring all the generations together. Can’t wait to try some of these ideas at a New Year Eve Party! Thank you so much for your posts, they have been so fun and helpful! This is perfect. 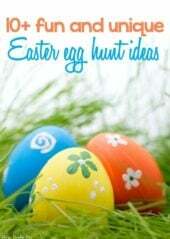 Thanks for sharing these great ideas with us.